I went through an old bin of stuff I've saved for decades, throwing some stuff out and keeping a few priceless gems. In this bin of memories I found a couple of guides I received 25 years ago. One is entitled "Cycling Skills" and taught me the rules of the road as a young cyclist in this city. I found this little booklet invaluable as a teen navigating the downtown core at all hours of the night. 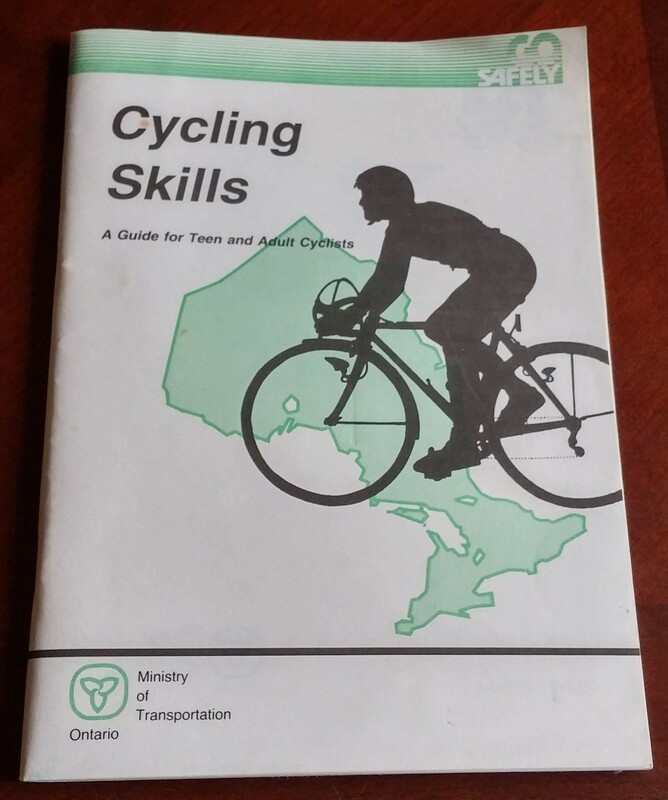 The other was the 1990 TTC Ride Guide. If I wasn't biking, I was jumping on the subway. I loved the subway and mapped my routes with this handy guide. 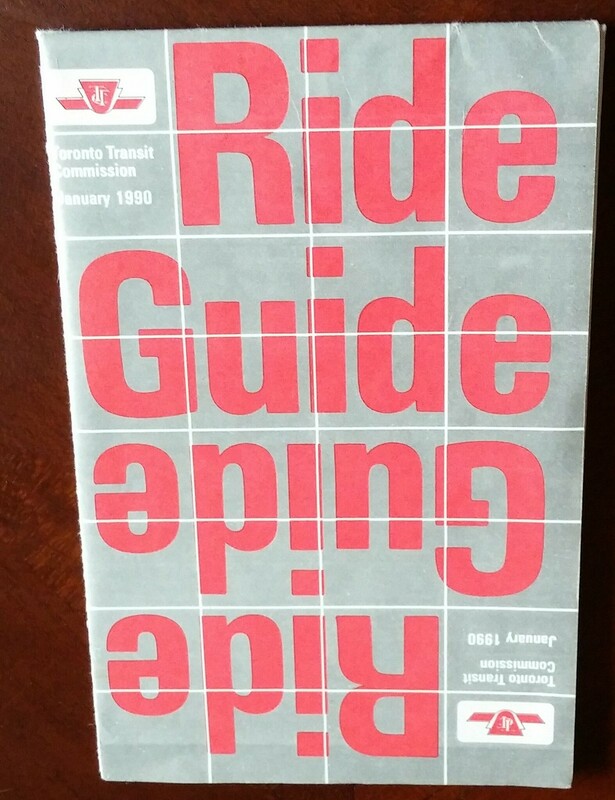 Sadly, the TTC Ride Guide isn't much different today as it was in 1990. 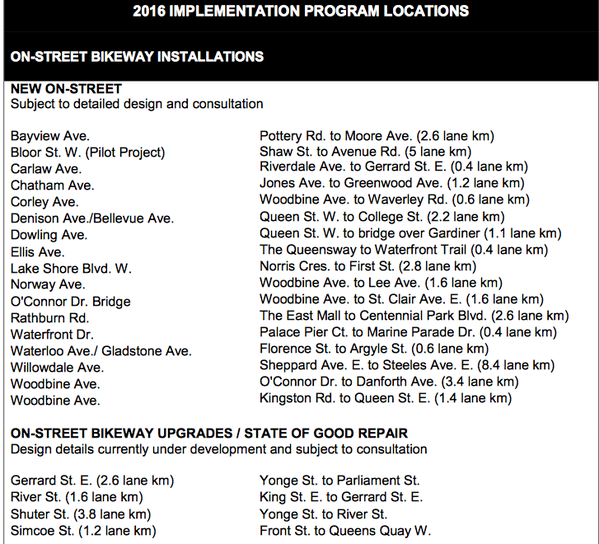 Toronto's winters are very bikable, so there's no need to put your bicycle away until spring. I biked through the past two winters and now have it down to a fine art. Sure, you'll need to skip a few days when it's actively storming or when the temperatures plummet below -20°C, but you can get in a good ride most days with only three adjustments. 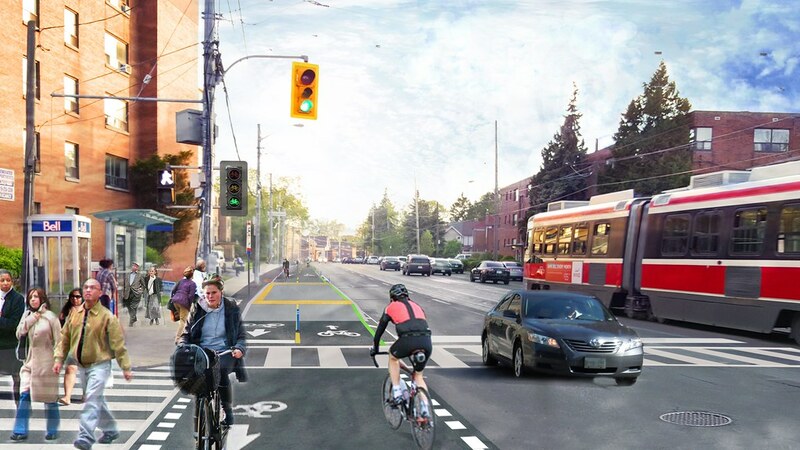 Staying warm is essential if you're going to bike through Toronto's winters. I've learned to add layers as the temperatures drop. Trust me when I tell you you'll feel warm in all of the above down to -20° at which point your toes will turn on you. Once the snow falls and stays, I have to alter my regular routes. 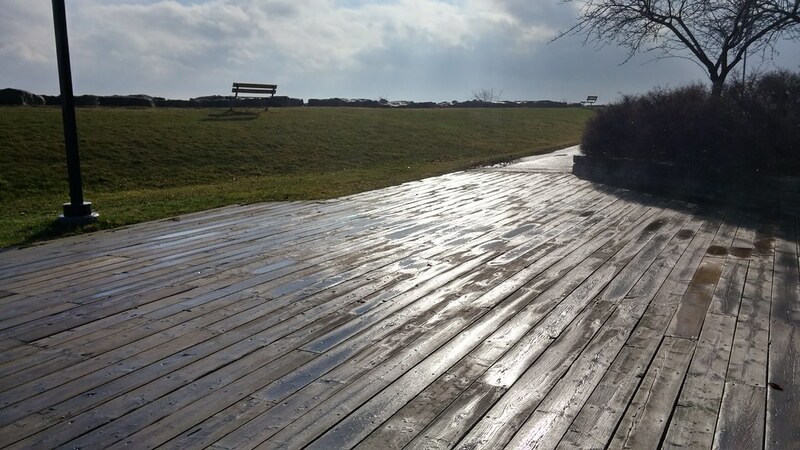 Much of the waterfront trail to the west of me is not maintained in the winter time, and it becomes an unsanctioned skating rink. 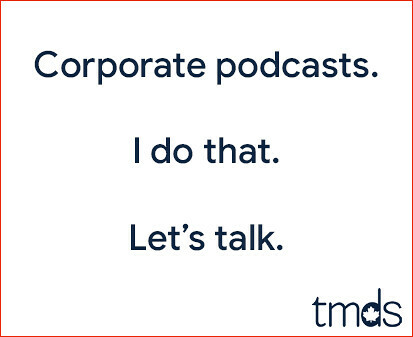 That's no good. Through trial, error, and common sense, I've mapped out several routes that are ploughed and salted throughout the winter. 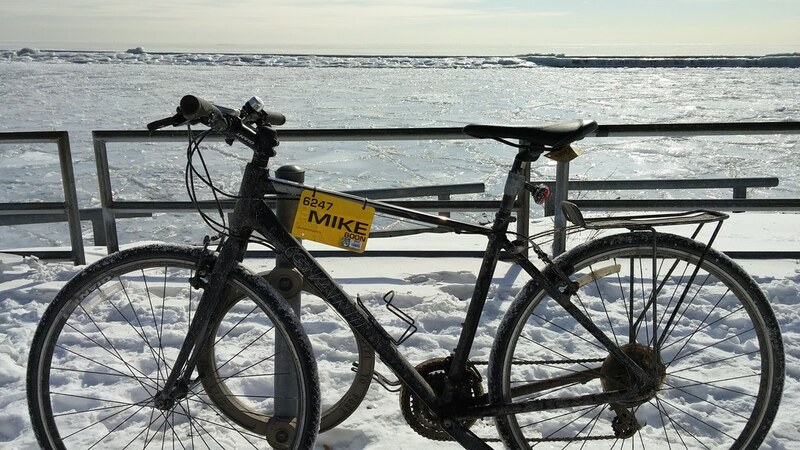 The Martin Goodman Trail, for example, is maintained all winter long, and you'll often find me biking it on a cold February afternoon. Be prepared to lose your regular routes and map yourself rides with cleared snow and ice. Even if your trail / road is ploughed and salted, the greatest danger in winter cycling is losing control on snow and ice. In my adult life I've never fallen off my bike in dry conditions, but I've had several falls in snow and rain. It's essential you reduce your speed during winter rides when snow and/or ice is present. This is especially true when turning. Get out there and enjoy biking Toronto in winter, just be prepared to bundle up, lose many of your favourite trails, and slow way down. Things will return to normal some time in April. Having surpassed my 2015 goal in mid-September, I'm now fulfilling a contractual obligation by comparing my year-over-year distances through December. Although there were a few chilly, wet days in October, overall it was a great cycling month, with the sun shining and mostly double-digit temps. Here's how my October 2015 stacked up against October 2014. I'm now at 6200.32 KM for 2015. 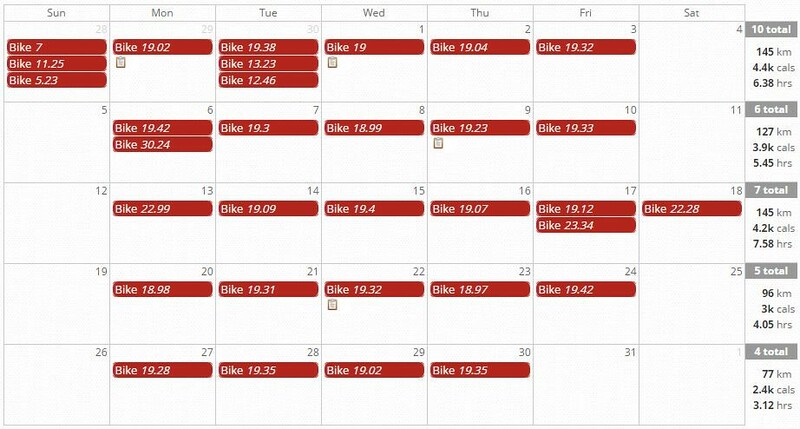 My goal for 2015 was to bike 5000 KM. 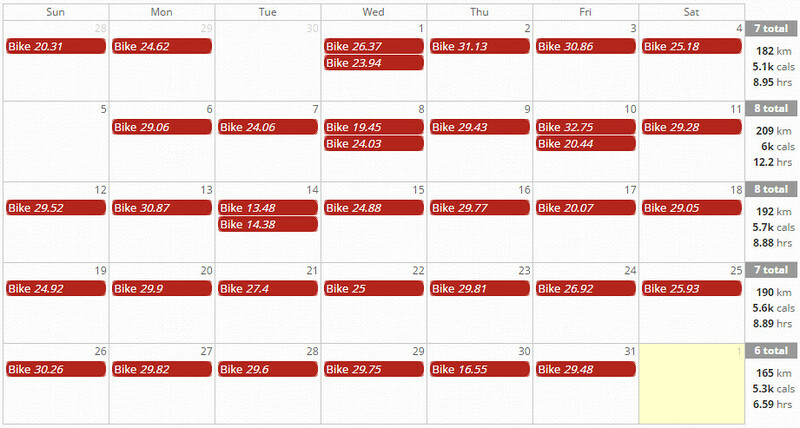 I had never biked that much in a single calendar year, and it seemed like an attainable goal if I stayed healthy. It turns out I hit that goal in early September, and just kept going. 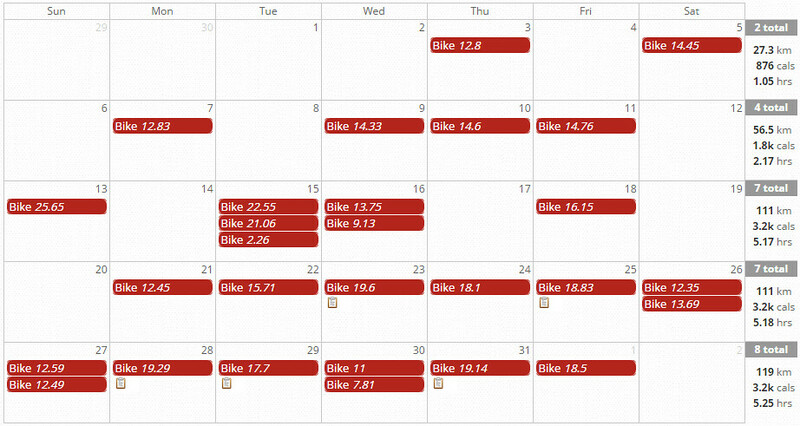 September was an amazing month for cycling this city with plenty of sunny warm days. 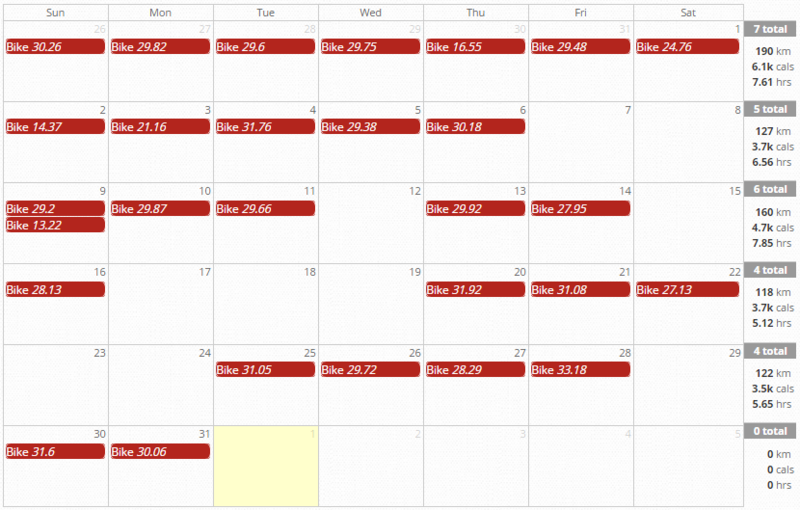 Here's how my September 2015 stacked up against September 2014. I'm now at 5437.79 KM for the calendar year. We'll see where I end up. 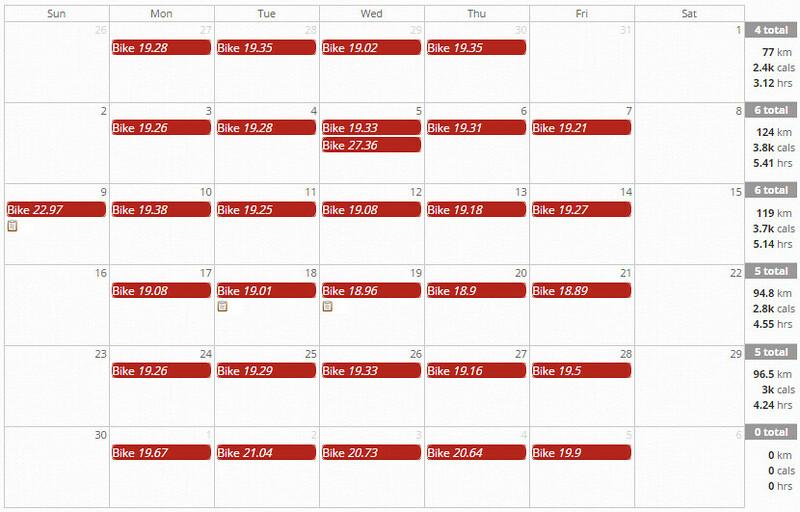 If I stay healthy, I should demolish my goal of 5000 km for 2015. 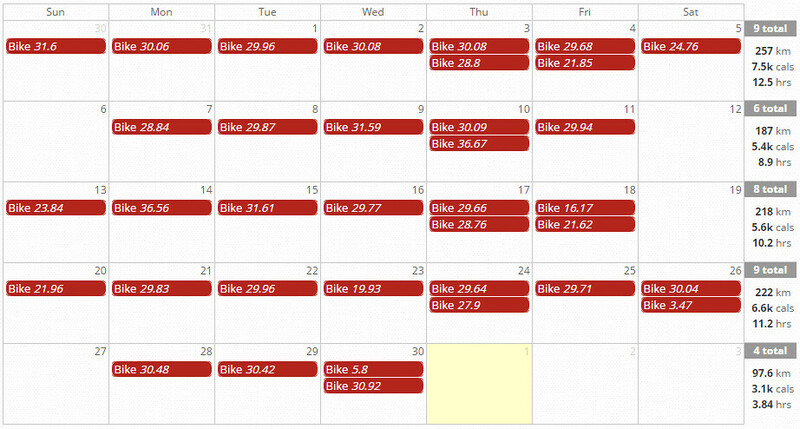 I'm actually on target to surpass 5000 km by the end of September. 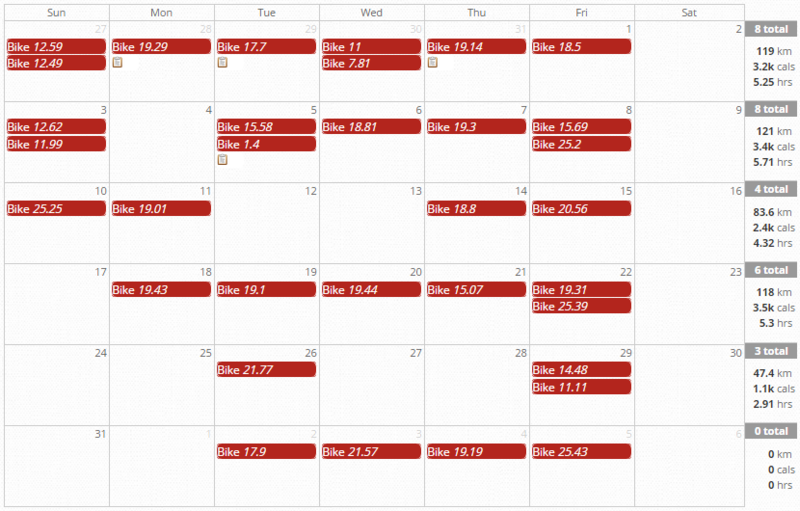 Here's how my August 2015 stacked up against August 2014. I'm now at 4517.53 km with 4 months to go. 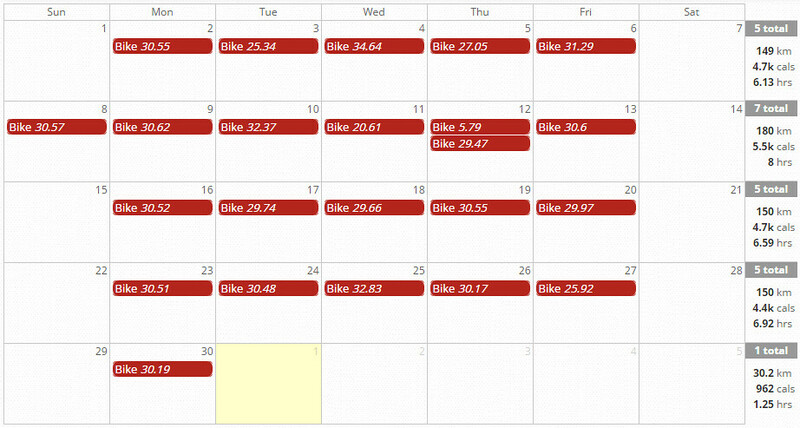 I set a personal best for KM cycled in a single month in June, but I trounced that number in July. 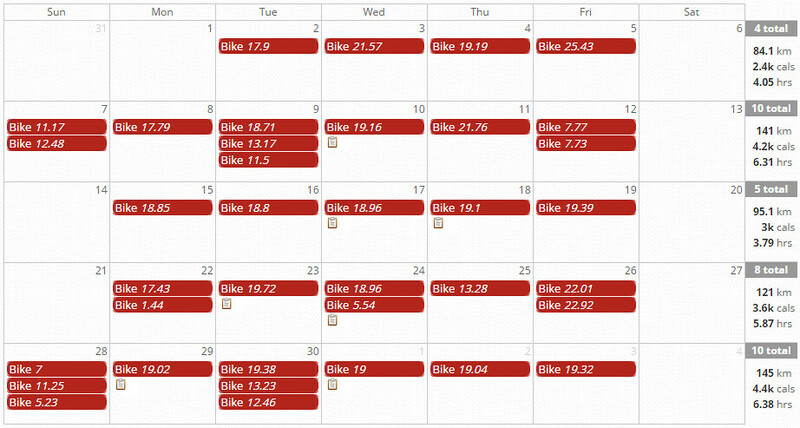 July was an amazing month for cycling this city, and I made the most of it. 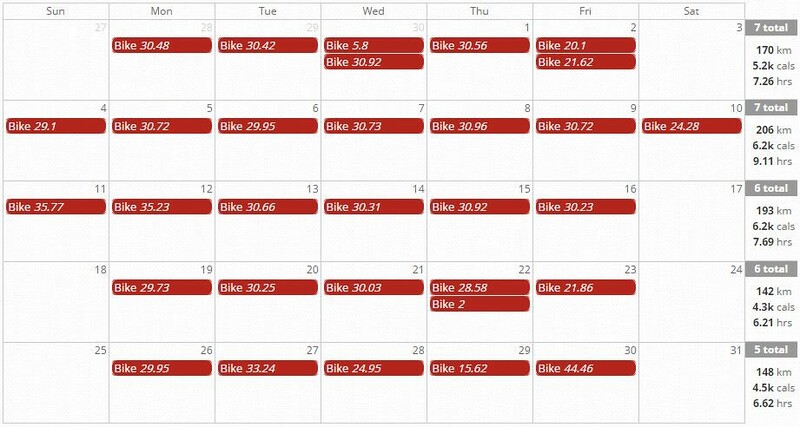 Here's how my cycling in July 2015 measured up against July 2014. My goal for 2015 remains a personal best 5,000 km. I'm currently at 3903.94 km with 5 months to go.